To start off, dialogue essays were written in Ancient Greece by the philosopher Plato who wanted to combine his philosophical insights with the possibility to show exchange of opinions and views. Some of his famous dialogues are Republic (actually a treatise consisting of dialogues), Phaedo, Timaeus, Symposium, and many others. This was the style in which all of his writings were set forth. This literary genre assists the author in attracting the reader’s attention and in expressing the author’s ideas more clearly and vividly. Later, philosophical papers in the form of dialogue became popular during the Renaissance (the dialogues written by Galileo) and the early Enlightenment (G. Berkley, F. Voltaire). The advantage of such a genre is that the information is presented in a very attractive form, usually by opposing two standpoints to each other. Instead of merely exposing your thesis and arguments, you can show them in a dynamical fashion, by contrasting them to other theses. 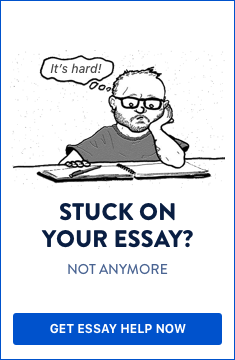 The difficulty with writing a dialogue essay is that very often the artistic skills needed to accomplish such a task are not supplemented by the appropriate logical skills to manifest a strong thesis. The author starts writing a story instead of an essay. Notwithstanding, you should expose your thesis regarding a given issue, not only to make the reader think and reflect on it, but also to be able to compare your point and the potential counter-arguments. The main task here is to express opinions. That is, to refer to the points of view of some common people. Of course, it is not impossible to present the views of renowned scientists or scholars in a given field (as Plato did in his dialogues). However, you should put stress on what people usually believe in (opinions), and not on what has been certainly proved. Your thesis can turn around your personal opinion. Just imagine that there’s an opponent in front of you. What would they tell you? How will you defend your thesis? Let’s say that you know your topic very well and have gathered the required information. As an introduction you may present the main characters of the dialogue; tell a little about their biography or personal convictions. Then you have to put the ideas of the characters in order. For that reason, it is good to make a preliminary sketch, which you should follow during the writing process. Don’t rely on spontaneity, it won’t work here. In contrast with other essays, a dialogue essay should not include direct quotations. You can, of course, incorporate anyone else’s ideas or theories, but without quoting them directly. One thing you may do is to mention the name of the scholar or theorist in question, or the name of their theory. A dialogue essay should not include direct quotations. You can incorporate anyone else’s ideas or theories, but without quoting them directly. A typical dialogue requires two main characters in order to show a given issue from opposite sides. Still, Plato’s dialogues consist of referring to many points of view. Thus, a person can hold various views on a topic, and the other one can repudiate them gradually, one by one. This is the method of Socrates. We recommend you not to use such complicated methods, but rather to employ two characters and to emphasize their personal views from the very beginning. You can expose the arguments of each person in two ways: first, en bloc, i.e. together in one paragraph, and second, separately, by exposing them in different assertions. Thus, the opponent will try to repudiate each point separately. The second way allows the reader to follow the discussion point by point. You do not need to be too creative here: just use a little imagination. Describe the circumstances of the dialogue in short: more important is what the characters are saying. You can use a general recapitulation of the discussion as a conclusion of the essay. For example, the first character refers to the initial theses of both persons again, and shows their development in short. Since the dialogue should have a conclusion, here you have to incorporate an assertion in the character’s speech, which both characters agree upon. Remember: a dialogue essay should have clear conclusion. The recommendations above will assist you only in planning your first draft. How to write a dialogue essay is a matter, which depends on your preparation and efforts. Write the draft several times and always ask your friend to read it and provide you with some feedback. This is the way to improve your writing skills.